This stunning bedstead is available in either double or king size and will make a charming addition to any bedroom, regardless of the decorative style. 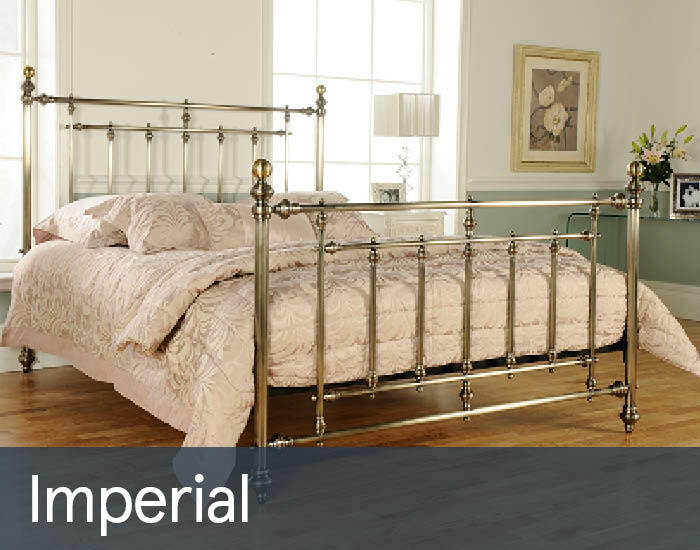 While many metal bedsteads can feel sterile and create a cold atmosphere in bedrooms, the Bentley Imperial has a charming Victorian warmth about it that will transform the look of your bedroom for a long time to come. The Bentley Imperial bedstead is available in two different finishes. Choose from a brass or nickel finish to bring out the best in the rest of your bedroom furniture.